“P” Is For Packing (74/365 year 3) – Annoyingly Boring? Sunday morning we are headed to Disney for a week’s vacation. Aw, the world of Disney…I know it well and LOVE it! You will have so much FUN!! Please, bring back some of that FL sunshine for us here, k? 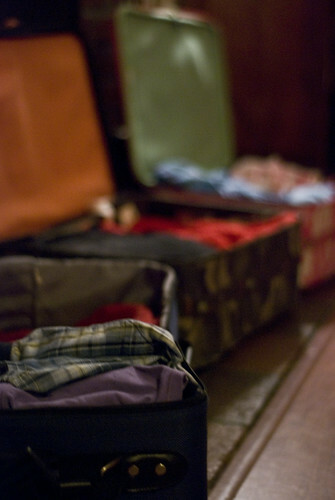 Nice comp and DOF here…and my, you have colorful suitcases!